The cozy scents of fall - toasted walnuts, pumpkin, nutmeg and cloves - immediately draws me into the kitchen, wanting to cook and bake more frequently, but often coming up short on time. With shorter days and busier schedules, breakfast seems to be the meal that often gets cut the most, but this healthy and semi-homemade breakfast muffin will be waiting for you each morning as you grab your coffee to go! Growing up in a college town, back in the 1970's, Co-ops were definitely less hipster, or understood, for that matter. Fortunately, I was exposed to this wonderful 'under ground' world by my mother, who cooked everything we ate and sought out unconventional or grain free options to accommodate my allergies. My mother was very much a hippy in disguise with her whole foods approach to feeding the family, way before it was trendy. The Co-op was literally 'under ground' in the basement of a building, near the library and just blocks from the downtown square [http://www.bloomingfoods.coop/about/]. In order to find it you either had to be looking down while walking (kids are short so we see these things) and notice the mason jars of grains and herbs sitting in the windowsill, or know where you were going. Mom seemed to know where she was going. Here she exposed me to the dynamic earthy scents of healthy food, ingredients, and remedies. These scents, much like the scents of fall or a summer garden ready for harvest, always nudge me into the kitchen. 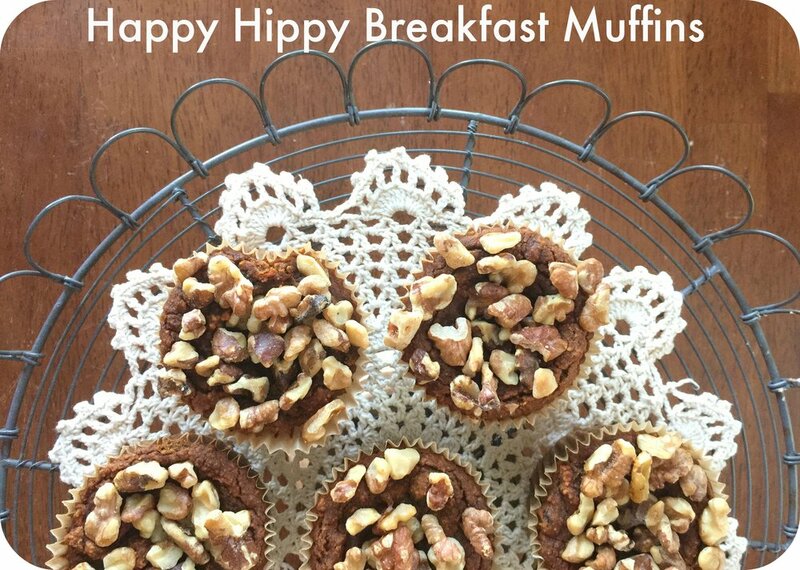 Fast forward a few decades and with significantly less time to cook, I have created a semi-homemade breakfast muffin inspired by the earthy scents of healthy food, chunky texture of fresh garden veggies and and convenience of a grain-free muffin mix to get you started! Older PostAre essential oils on your bucket list too?